Today, a surveillance camera doesn’t need to be wired - IP cameras send the signal directly via Wi-Fi and you can access it from anywhere, and you will be notified via smartphone or an e-mail. The best surveillance camera for us is the Nest Cam Outdoor. 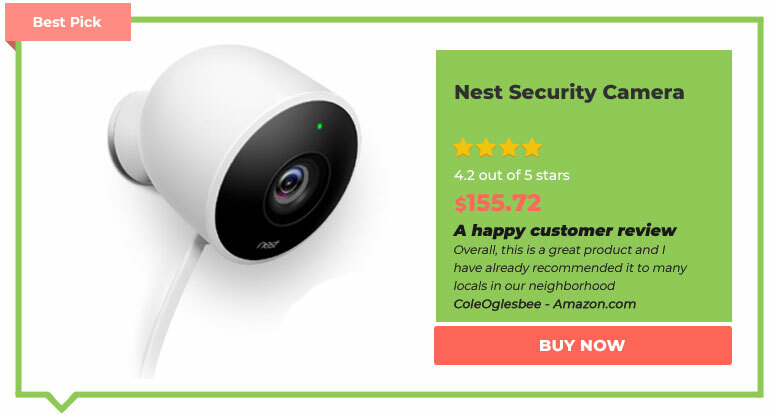 Like the Nest Cam IQ, it's certainly not a bargain, but the ease of use and setup is unmatched - at most, even the more expensive Netatmo Presence and Netgear Arlo can keep up with similarly comfortable apps and let the user sift through the records. Nothing is easier than browsing the videos in the timeline: thumbnails show your visitors, time-lapse photography provides a quick summary of the day, and the parcel courier tells you by intercom where to put the parcel. Nest comes with professional installation accessories: terminals, screws and a seven-meter-long cable for outdoor installation. The setup would take hardly five minutes. Everything looks neat and professionally laid afterward. In addition, there is a first-class image quality, an invisible IR headlamp and a filter that can exclude movement, animals, and people from the alarm. You can mark areas in the camera image and assign them different alarm characteristics. So a movement in the garage triggers an alarm. 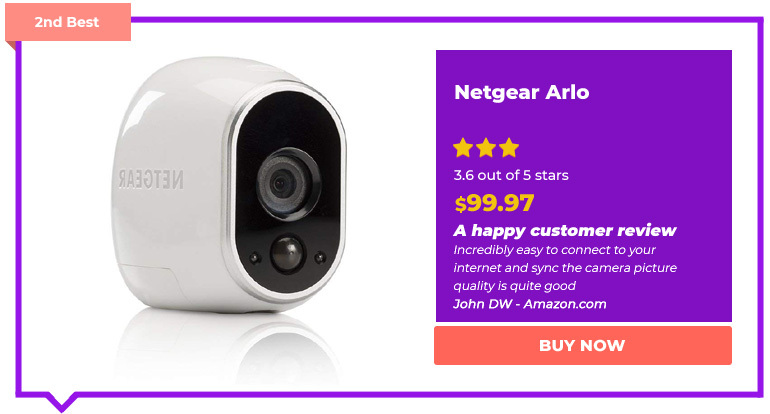 The Netgear Arlo is technically not a perfect high-end IP camera, but it does it all right when it comes to setup, ease of use and function. If you are looking for an easy-to-install and easy-to-use security camera without a lot of bells and whistles, which can be installed extremely flexible, then Arlo is the perfect solution. Scheduling and geo-fencing allow seamless integration into the normal operations of a household. Thus, the monitoring begins on request only when all residents have left the house. Such comfort only offers the more expensive competition of Nest, Netatmo, and Ring. 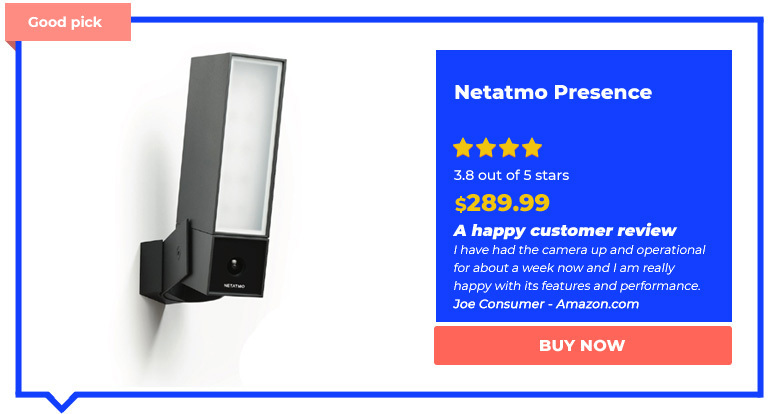 The Netatmo Presence is at the same height as the Nest cameras for ease of use. The person recognition exists at Nest and Netatmo alike. This is not to be confused with the face recognition. The biggest advantage of Presence is the lack of subscription compulsion: It is stored locally on SD card or on its own FTP or DropBox memory. It is only recognizable as a camera at a second glance. At first glance, it looks like a small floodlight next to the front door. The power comes from the facade, so you could dismantle an old light and use the Presence. The floodlight switches on when needed with persons, with animals and other movements however not. It can be dimmed later on. While Nest, Netatmo, and other cameras in this review provide intercom, they do not have a real doorbell. If you want to connect surveillance at the front door and a radio bell with intercom, the Ring Doorbell 2 is the right choice. 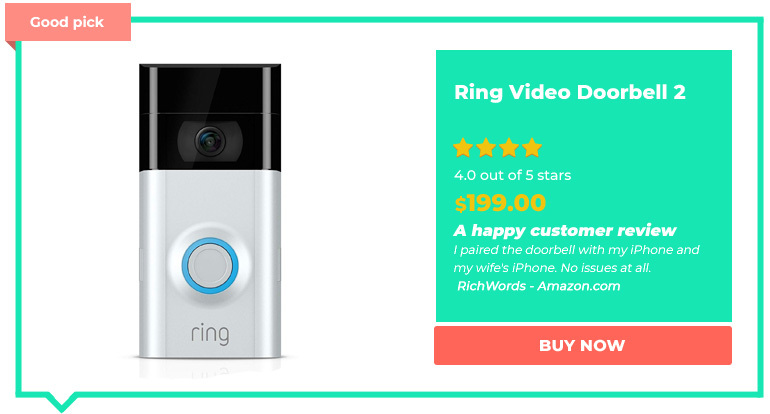 With the large battery, which is taken for charging, the Doorbell 2 is to last half a year. Alternatively, it can also be hardwired. Your AC gong is not unemployed, however: Doorbell 2 can also control it, the installation kit is included. Because the radio range is not particularly strong, an optional chime for $35 is recommended. It extends the radio range and acts as a bell in the house. If you want to install your security camera on the front door and set up an intercom, the Samsung SNH-V6440BNH is the best choice for you. 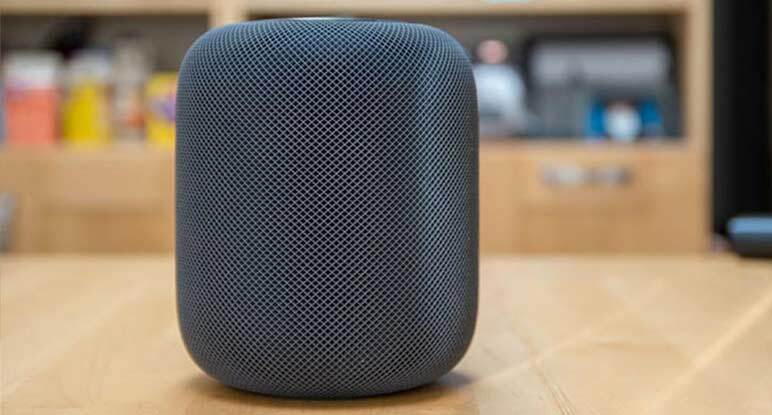 It has a microphone input and a speaker output at its base. With these two additional components, the camera becomes an intercom and you can speak directly from the app with the guest or parcel deliverer at the door - of course, also from afar. The Samsung camera is like the Arlo. Very small and robust design. The 8-meter cable connection to its own base makes the installation but a bit inflexible. The daytime image quality is the best of all cameras in the test the night shots, however, are comparatively bad, but what you can fix by separate infrared headlights. The storage of videos is only possible on SD card, which is not included. The SD card is put into the base so that a burglar can’t take it with you if you put it in a hiding place. Unfortunately, the Samsung camera in our test had big problems with the wireless connection, which caused the app to lose contact over and over again. One should, therefore, pay attention to a small distance to the router. It can also be connected with a network cable. This makes operation at home via the app much faster. However, with its ball joint, the Samsung is not suitable for mounting on the roof. For the ball joint is very stable and infinitely adjustable. In the past, outdoor surveillance cameras had to be cabled extensively. Today they simply send the video signal directly to the router via WLAN. Such IP cameras are much cheaper than conventional surveillance cameras and therefore affordable for everyone. IP stands for "Internet Protocol", so IP Camera can best be translated as "Network Camera". Ultimately, an IP camera is a small computer that is equipped with a camera module and infrared sensors and integrated as a network device into the home wireless network. With the help of a motion sensor, it records photos or videos as soon as someone comes into the field of vision of the camera. It can even take night shots with built-in infrared headlights. IP cameras are connected directly to the Internet router, such as the Netgear Nighthawk, Asus ROG Rapture, Linksys EA6350 or TP-Link Archer C7. The advantage of using a router if you don’t always have to run a computer to record the videos. The connection is made via a network cable or - as with most surveillance cameras today - via WLAN. 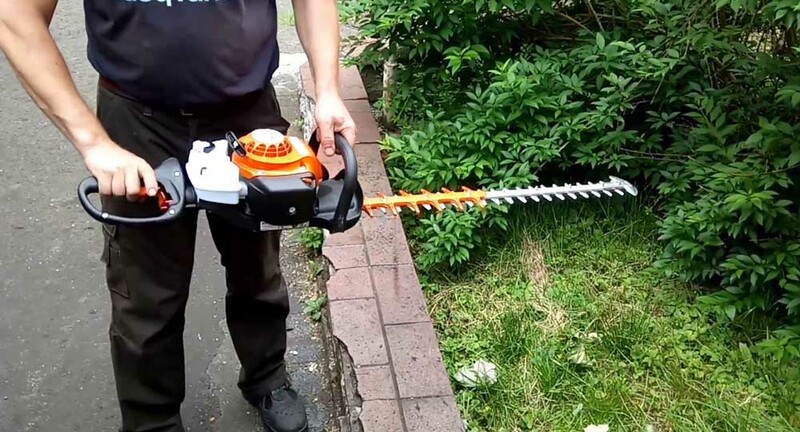 This is much more practical because it saves you a lot of cable work. For some IP cameras, you don’t even require to provide the power. They are simply equipped with batteries, rechargeable batteries or a solar module. So they can be placed completely free without cables. Practically all outdoor surveillance cameras work together with a smartphone app, which is used to report an alarm directly to the smartphone, either as a push message or via SMS or e-mail. That sounds at first glance tempting because so you can catch a burglar even from afar in the act and immediately inform the police - you think, at least. But the reality is different because most of the time it is not an unwanted intruder who triggers the alarm, but the neighbor's cat running across the patio, children playing or a car in the distance. Even wind that moves the branches of trees can trigger certain motion detectors. In practice, therefore, hardly anyone will leave the alarm function permanently switched on - the constant tinkling annoys. Only in special areas, such as the protected entrance area of a house, push messages to make sense. Alternatively, scheduling limits the activity of the camera to the night hours. Netatmo, Nest, Ring, and Instar are working to fix these problems by dividing the captured area into different segments. Here, the playground can be excluded from the monitoring, the entrance, however, remains monitored. The filters on Netatmo and Nest go one step further: they are available for people, animals or other movements. Depending on your requirements, only people will sound the alarm, but not animals. Some models even offer face recognition: Family members can then enter freely; strangers trigger an alarm or at least a video recording. A security camera can’t prevent a break-in, but it is a deterrent. It provides evidence that may identify an offender. A single-minded and well-prepared burglar will not stop it; after all, he can also be muzzled. But most burglars do not go to the “job” well prepared. Some surveillance cameras also have an alarm circuit through which, for example, a siren or a floodlight can be connected. This makes life even a bit harder for potential burglars - or because of constant false alarms, even neighbors. As a rule, a surveillance camera, therefore, performs its service rather passively. If there is a break-in, you can view the material of the last 24 hours or - depending on the model - also the last days or weeks. That's the real purpose of a surveillance camera. The video quality of outdoor surveillance cameras can’t compete with that of a smartphone or a camcorder. Even an optical zoom is almost no match. The image quality is most comparable to a simple HD webcam in the flap lid of a notebook: You may experience relatively strong image noise, often strongly over-rotated contrasts, faded colors and sometimes blurred spots in the image, especially in the case of the movable dome cameras. 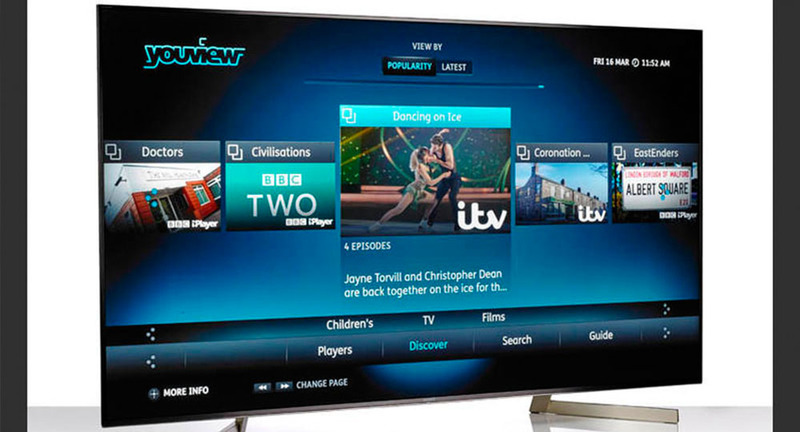 Even if the manufacturers advertise with HD or Full-HD - the image quality is not necessarily what you expect. With a surveillance camera, it's not about making the most beautiful videos of the burglar, but to provide reliable video in all possible light situations a recognizable image - especially at night. For this purpose, IP cameras are usually equipped with infrared light sources, which illuminate the area in front of the camera with an invisible to the human eye wavelength of light. Infrared light in the wavelength range of 800 - 1000 nanometers can be recorded by any camera in black and white. In daylight, the infrared filter in the camera is simply folded away. However, the infrared headlights of most IP cameras are not completely invisible. If you look at the camera head-on at night, you can usually see red or blue dots. The reason: IR headlamps in cameras usually work with a wavelength of 850 nanometers. There are also invisible 940nm IR emitters, but their range is only half that of 850nm IR emitters. Nest Cam Outdoor is an exception. It has "invisible" IR headlights. This is ensured by a special filter in front of the lights. For the unwanted visitor, the camera remains completely invisible if it has been placed smartly. A few years ago, surveillance cameras had at best 640 x 480 pixels (VGA) resolution. That is still enough for the purpose, but many buyers still like to acquire high-resolution megapixel cameras like, cameras which have 1920 x 1080 pixels resolution. But because the image sensors do not get bigger despite the higher resolution, such cameras require more light to deliver the same level of detail. They start to rush faster than camera systems with low resolutions. The result of the image noise: The quality of the images is decreasing, the bandwidth required and the storage requirements are increasing by up to 80 percent, and intelligent analysis functions are constantly delivering error results. Our tip: Opt for either a lower resolution or retrofit separate infrared headlights. Either way, their wireless connection to the camera should have a very good signal, otherwise annoying connection errors, a painfully slow app and significant delays in the live view. Many cameras either try to intimidate the user (HiKAM A7, 7Links, Instar, LogiLink) through numerous functions and excessive settings options, or they only have limited setting options (Abus, Samsung) which is quite frustrating. The dome cameras from LogiLink and Foscam, for example, put a lot more on the subject of operation: they can be operated and set up via PC or Mac software or simply via IP access in the browser. However, a noob may quickly get away with these professional tools. For the professionals who set up four or more cameras and controls the monitoring mainly from the PC, however, LogiLink, Instar or Foscam are powerful tools. Many IP cameras store the recorded video on built-in or externally inserted SD memory cards. Alternatively, the material can also be stored simultaneously on an online storage on some models. Netatmo is the exception. It stored only locally on SD or in the own DropBox. In terms of reliability, the online storage is ideal, because even with the destruction of the camera, the evidence is preserved. A few cameras have their own router, as a kind of receiving part of the camera, which is housed in the house. On this, the video material can be stored on a USB stick or an SD card. When the camera is triggered manually with the smartphone app, pictures and videos are usually stored directly on the smartphone's memory. The motion sensor is a passive infrared (PIR) sensor that responds to movement associated with heat. So he can search the area of coverage for living things because they radiate heat. In front of the 4×5mm sensor, there’s a lens assembly that divides the detection area into zones. Each lens sees a well-defined area and directs occurring heat radiation directly to the PIR sensor. If a heat source moves through the individual zones, different charge differences are generated on the PIR sensor and the alarm is triggered. Another possibility of motion detection is the constant recording of a video stream. If the picture content changes very quickly, for example, if a person walks through the field of view, the alarm is triggered. However, such a picture comparison may produce many false positives, such as when trees are moving by wind, heavy snowfalls, or cars drive through the picture. More reliable are surveillance cameras with passive infrared sensors.